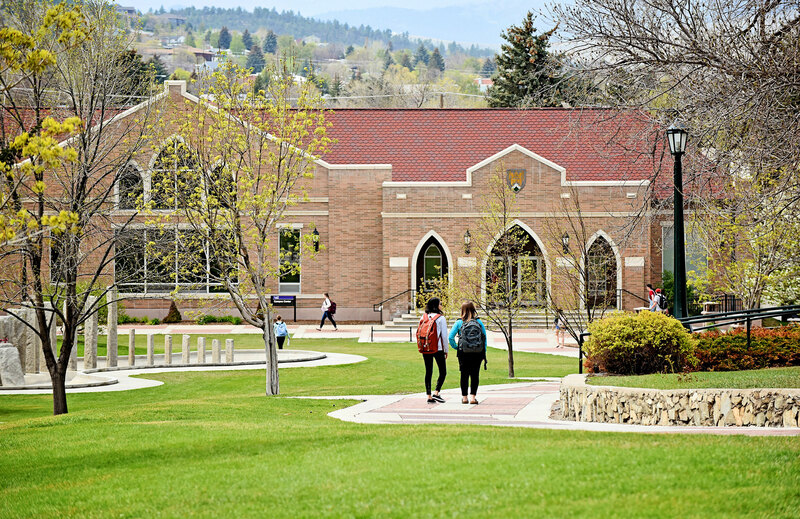 Carroll College strives to provide a safe and secure environment for its students, faculty, staff, and visitors. We offer on-site Campus Securty staff in addition to a secure Onity Card Key for each resident. While instances of criminal activity on campus are rare, the college is not immune to crime and cannot assure or guarantee a crime-free living or working environment. The college benefits from a community whose members truly care about one another. By watching and remaining alert to our surroundings, we can work to maintain a safe environment and identify dangerous and unsafe practices or facilities. Please contact the Student Life Office in 208 O'Connell Hall, or at 406.447.5457, if you have questions or suggestions regarding campus safety. Carroll College will, in a manner that is timely, that withholds as confidential the names and other identifying infromation of victims, and that will aid in the prevention of similar crimes, report to the campus community on crimes that are included in its campus crime statistics, reported to local police agencies or to campus security authorities (including, but not limited to, Helena Police, Lewis and Clark County Sheriff's Department, and Securitas), and considered by the college to represent a threat to students and employees. When a law is broken on campus, the Helena Police Department is contacted. Securitas officers will call the Helena Police to request an officer to come to campus to address violations of law. This includes underage drinking, theft, false fire alarms, and much more. Upon the confirmation of a significant emergency or dangerous situation involving an immediate threat to the health or safety of students or employees occurring on campus, Carroll College will alert students and employees immediately. Emergency or security alerts will be posted by email, on the college's Student Life webpage, on the college's Emergency Response webpage, and/or through the use of Regroup, the college's emergency messaging system, to to emergency contact phone numbers. The institution will, without delay, and taking into account the safety of the community, determine the content of the notification and initiate the notification system, unless the notification will, in the professional judgment of responsible authorities, compromise efforts to assist victims or to contain, respond to, or otherwise mitigate the emergency. Immediate contact will be made with college employees closest to the incident area to obtain information from eyewitnesses. Local law enforcement will be notified. College officials will cooperate with local law enforcement to determine the severity of the emergency and provide appropriate updates to the college community.